G’day friends! How is everyone feeling on this wonderful Saturday? I did something this morning that really makes me happy, but you’re going to have to wait to find out because I need to fill you in on yesterday first. This post is a little bit all over the place just to give you the heads up. I am becoming extraordinarily frustrated in trying to figure out which foods to eat and which to avoid considering my current colitis flare. I have been trying to stick to a low-fiber, low-residue diet, and although I haven’t necessarily been loving it, I have been doing a fairly good job of sticking to it. I am continuing my research as to which other foods I should experiment with incorporating into my diet, because I am getting SO bored of the same old sweet potato and bananas day after day. Don’t get me wrong, I love those foods, but I could go for more of a variety. Mostly, I want my greens. So, I am going to get my greens. 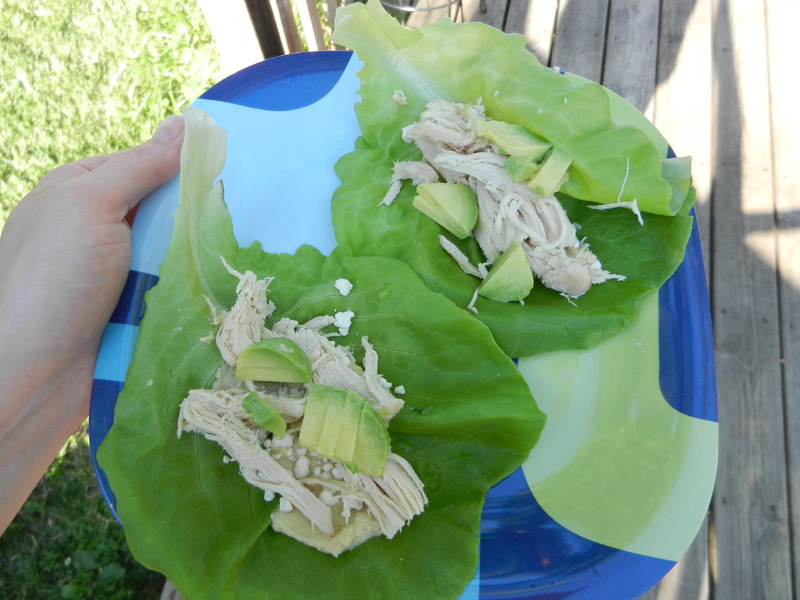 I read that certain types of lettuce such as Boston Bibb are easier to digest as they are very soft and light. Also, cooked spinach can be consumed in moderation but they do recommend pureeing it. So, after yoga yesterday morning, I pulled out the blender, added banana, mango, cooked spinach, a squeeze of lime juice, a splash of V8 fusion light, 2 Tbsp Hemp protein and almond milk. 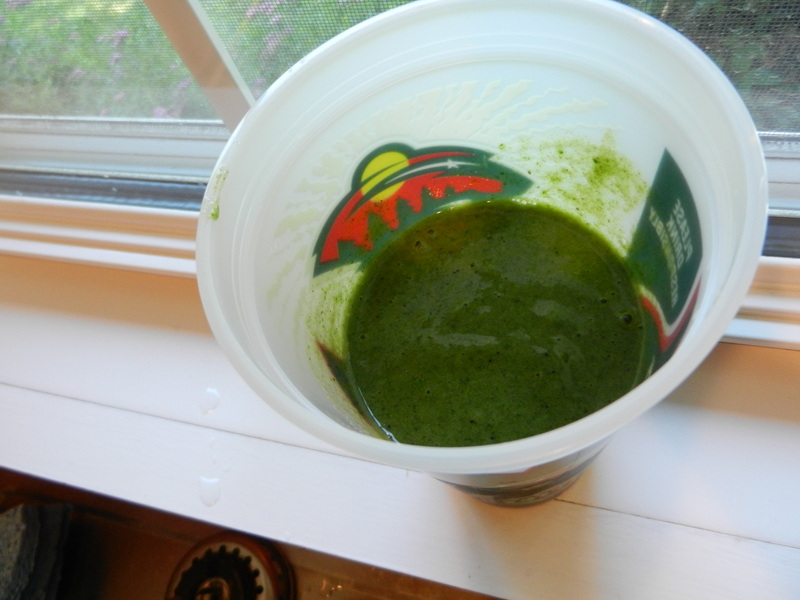 I gave it a whirl until all was blended to a smooth consistency. This combination was not one that I will recreate, but it wasn’t horrible, just not my favorite either. If I have to get my veggies in puree form, then you know what, I’m going to puree like a crazy woman. I feel so much better when I eat my veggies. 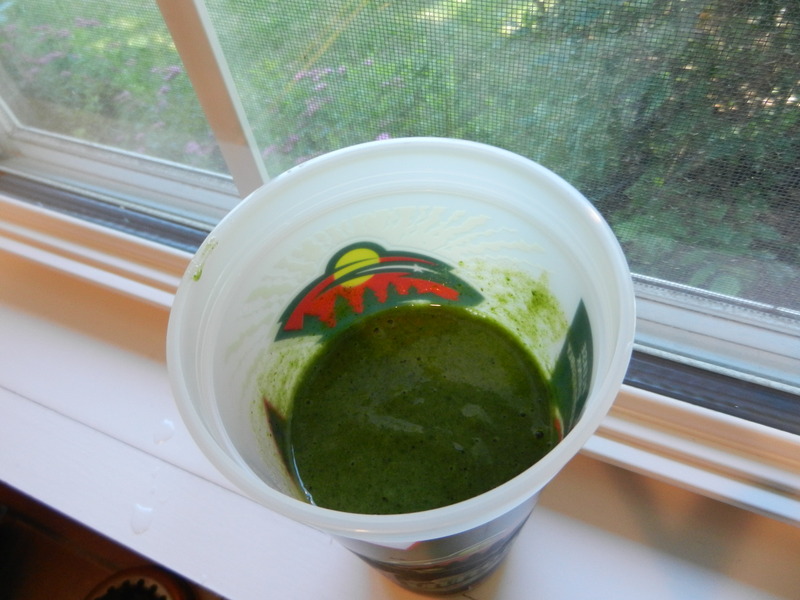 I presented my green smoothie in a very fashionable Minnesota Wild plastic cup because I was headed out the door. I am determined to improve my diet, especially with the addition of more veggies which I so love, but I don’t want to falter on the healing process in the colon region which I have been working so hard to improve. 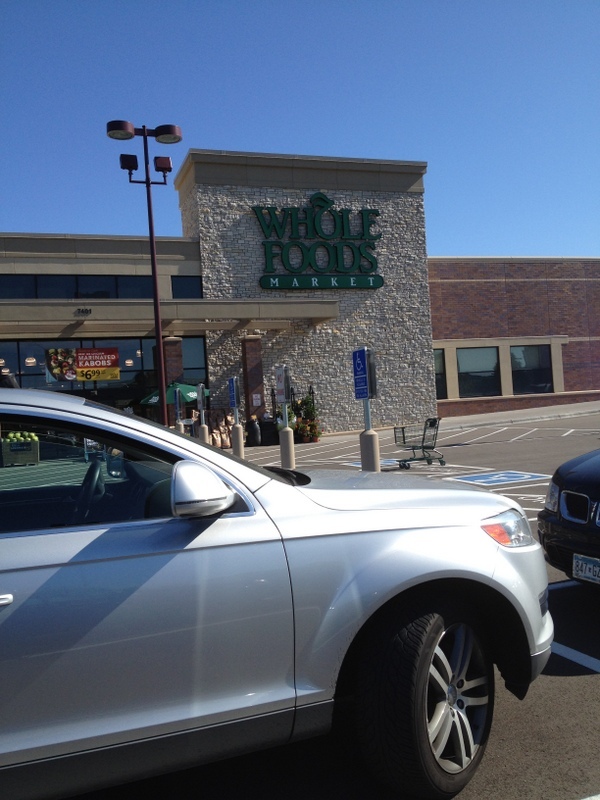 I set off for Whole Foods Market to do some creative brainstorming and to buy some natural and organic foods. I was on a mission. I L.O.V.E. Whole Foods. I spent quite a bit of time browsing the aisles, looking for healthy foods that I could add into my diet. I managed to snag a free double chocolate scone sample bite while I was there too. Score. 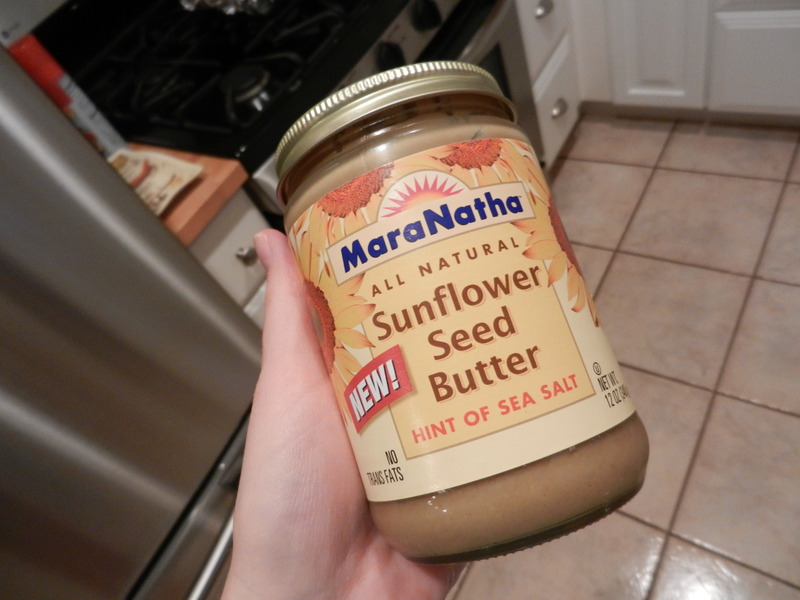 I ended up buying Sunflower Seed Butter for the very first time which actually ended up being part of my lunch. I smeared some of this deliciousness on half of a banana and ate a spoonful plain as well. I am pretty impressed with this stuff. I like, I like. 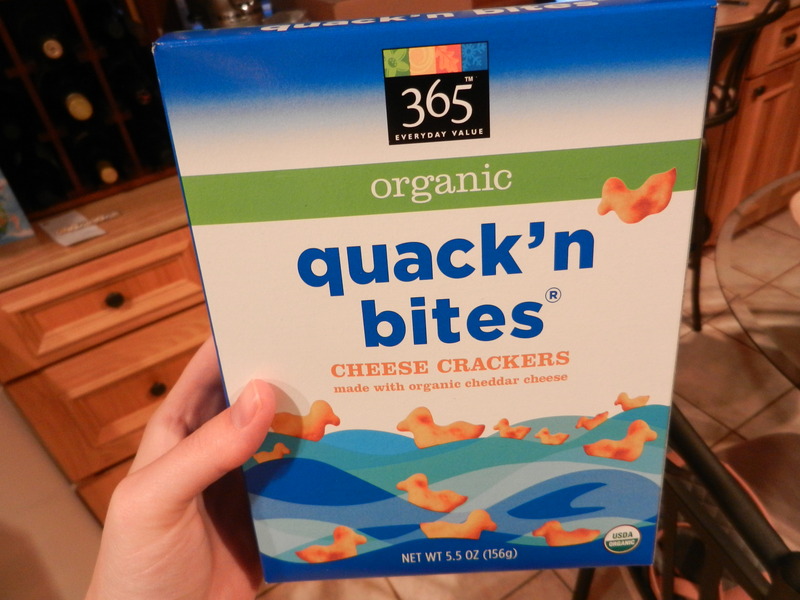 I bought these little duckies which were consumed as part of my completely random lunch as well. I also bought soft Boston Bibb lettuce, frozen peaches, mangos, butternut squash, and spinach, caramel rice cakes, horseradish for the hubby, millet, and baba ghanoush. I have plans for more smoothies in my future and more variety in my diet. I spent some time in the kitchen working on a recipe for the Wild Harvest contest as part of the Healthy Living Summit 2012. I am in my glory when I am in the kitchen working with food. While I got creative, I snacked on a bunch of gummies that mysteriously jumped into my cart at the grocery store. Weird, right? 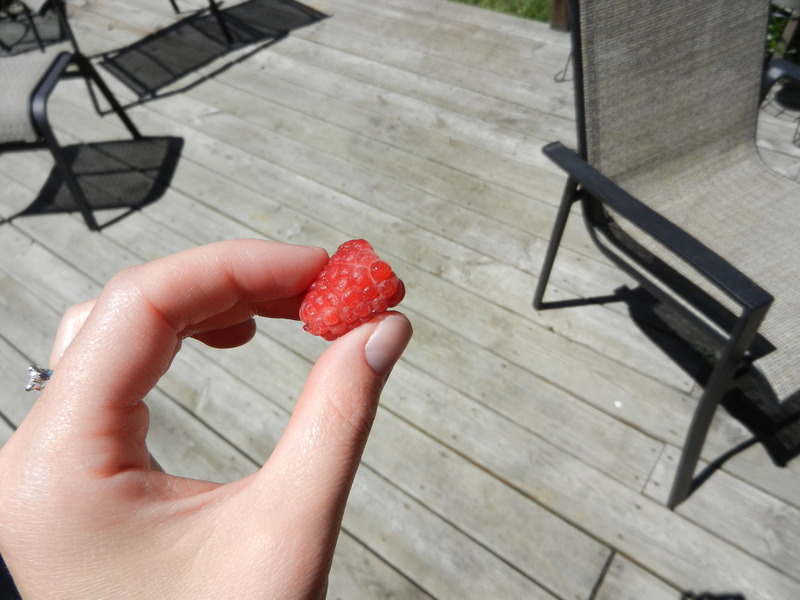 This afternoon I was super excited when I picked our first raspberry of the year from our backyard. Berries are on my no-no list right now but I could not help myself. I ate it and it was awesome. We have a bunch more that will be coming soon. The baba ghanoush came into play. “Baba Ghanoush! !” Wedding Crashers anyone? 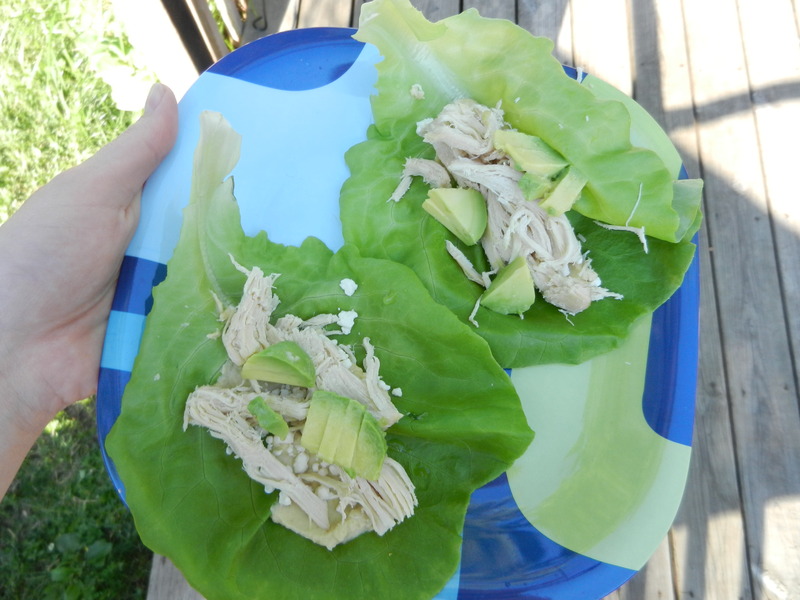 I tore the lettuce into cups, spread a spoonful of baba ghanoush on each, sprinkled with feta cheese, then shredded chicken from the crockpot, freshly diced avocado, and lastly a squeeze of lemon. So fresh, light, healthy, easy, and hopefully easy for me to digest. I made myself a second plate but this time ditched the baba ghanoush and instead drizzled a bit of Newman’s Own Lite Honey Mustard and made my plate into more of a salad. I miss my salads so much and eating this last night seriously made me so happy. I still am not feeling very well lately, but I am trying to stay positive and give it time. If I can at least incorporate a few of my favorite foods back into my diet, yet not upset the healing process, I will be a much happier girl. I just don’t feel like myself when I can’t pack my diet with the fruits and veggies it’s used to. It’s just a matter of finding the right veggies for now, and the right amount for now. 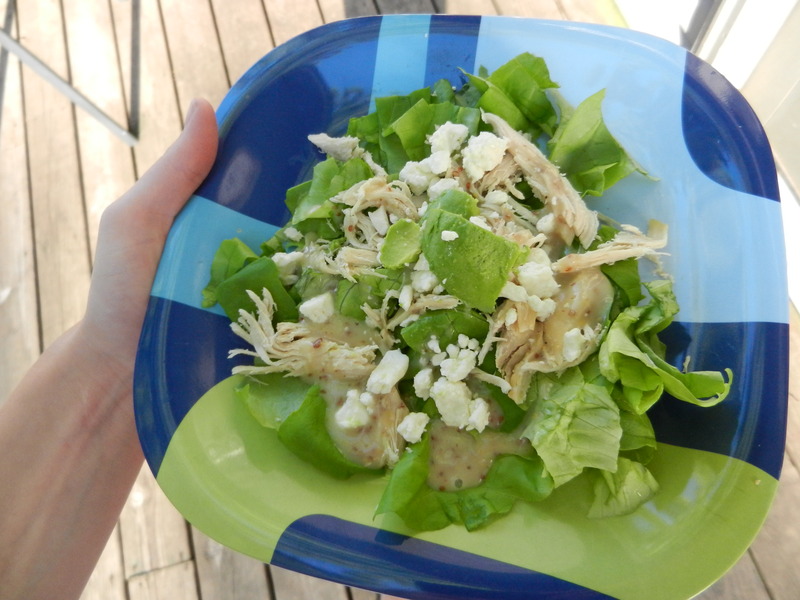 After my salad last night all I can say is, I’ve got to get me some more Boston Bibb lettuce! I went for a run! It has been about two weeks since I last ran which honestly feels like forever ago. I wanted to give my body a little break from the high-impact activities that could upset my body and have been focusing more on low-impact exercises. However, I have the Warrior Dash coming up next weekend and would feel super intimidated going into that without having run in three weeks, so I want to try to get a few runs in before then. Also, I and missing running a bit and missing that feeling you get after a run. I wanted to give it a go to see how my body reacted. This morning’s run was glorious. The air was a humid cool and I felt like I could run and run and run. I kept to about 3 miles because first of all I didn’t want to press my luck, and secondly I have lots on the agenda for the day including the fact that I have house guests. Scotty and Nicole are here! Btw I ran in an athletic skirt for the first time this morning and although the shorts still road up a bit, I really liked the feeling of running in a skirt. I felt so feminine even though I was dripping in sweat. As for my body’s reaction to the run, it held up just fine. It helps that I ran on a completely empty stomach which I know is not always the best option, but is okay to do do sometimes. 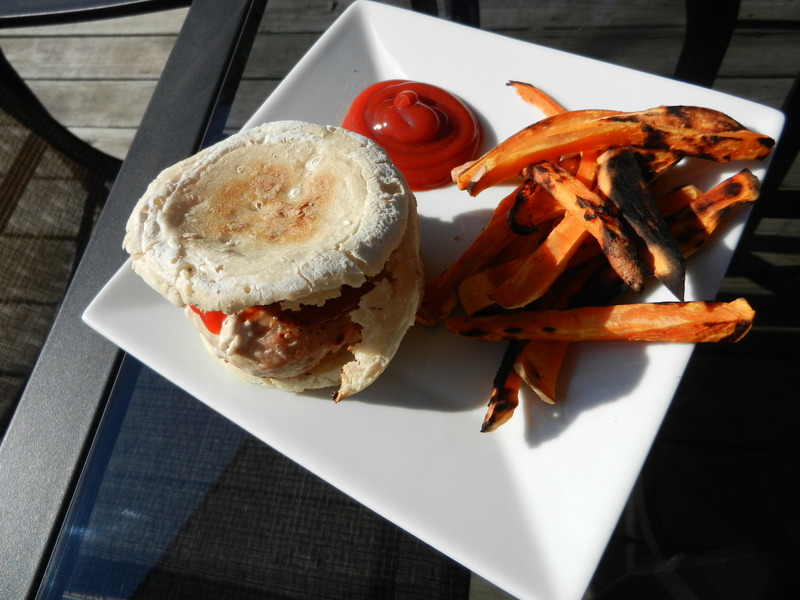 This entry was posted in Breakfast, Dinners, Health, Recipes, Workouts and tagged Protein, Running, Salads, Veggies by Melanie. Bookmark the permalink.